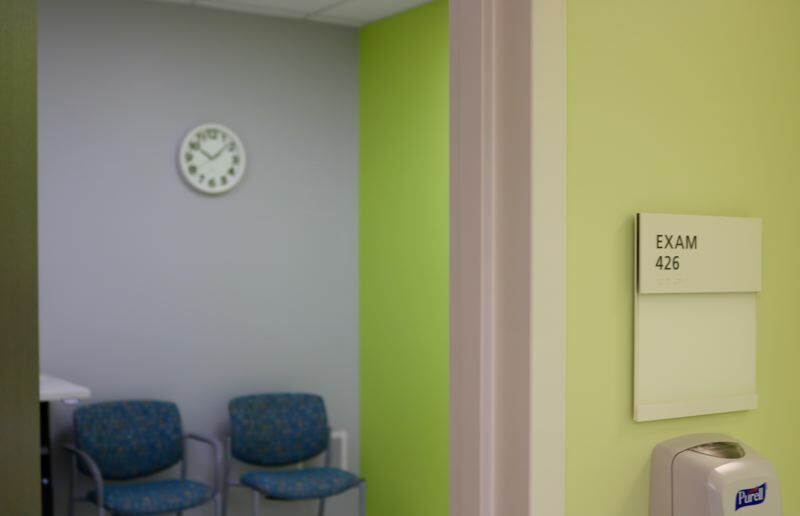 Downtown Portland building cost $94.1 million, hosts three clinics and hundreds of workers. Laquida Landford is trying to catch a cross-town train when she notices the suits snapping pics of the gleaming, nine-story tower next door to the clacking MAX tracks. It's the just-finished Gladys McCoy Health Department Headquarters, 426 S.W. Harvey Milk Street, a concrete and steel edifice with a $94.1 million price tag. Landford is a student of Skid Row, the 50 blocks of infamy in Los Angeles, and at Portland Community College. 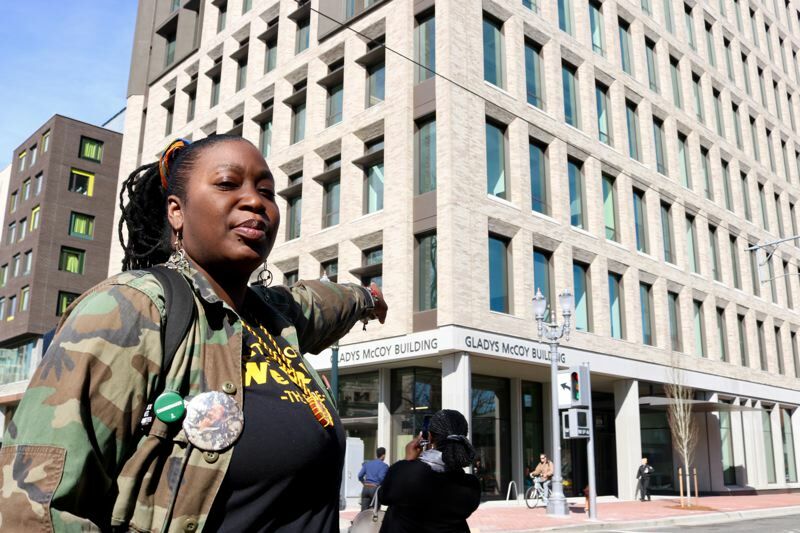 The housing activist's buttons proclaim "black people power," "black lives matter" and "change worker" — which she says could be her superhero name. But when the 42-year-old long-time central city denizen sees this change in Portland's Old Town/Chinatown, she's suspicious, and worried for the future of the men and women slumped outside on the sidewalk or sleeping under tarps. "When folks walk out of their office, they're going to feel unsafe. I know that," Landford said. "That's when they say, 'We've got to clean this up.'" Inside, it's a different story. 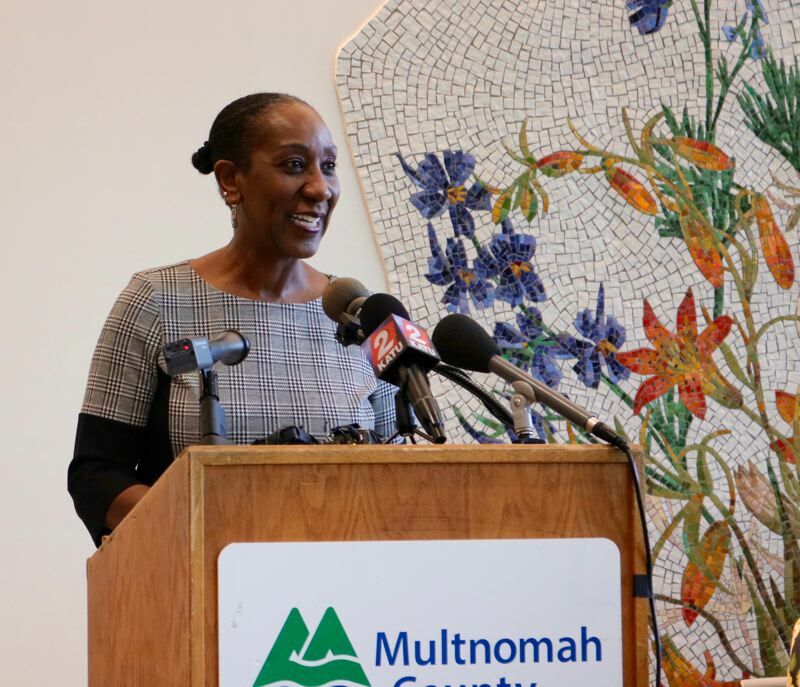 A spokeswoman praises the "courageous" actions of Multnomah County chair Deborah Kafoury, who had just exited the statehouse in Salem for a spot on the dais when planning began in 2009 to replace the antiquated and technologically-deficient old health HQ, which was housed in a 1920s-era department store. Listing off the dignitaries responsible for the nine-year project, Kafoury praises the "elegant and modern design" by ZGF Architects, recalling that she told them: "It doesn't have to be fabulous and beautiful, but they didn't listen to me." Commissioner Sharon Meieran, a practicing emergency room physician, is similarly impressed — and stresses the benefits of the building's aesthetics. "Environment matters," she said. "The environment itself is going to be so conducive to their health and well-being." 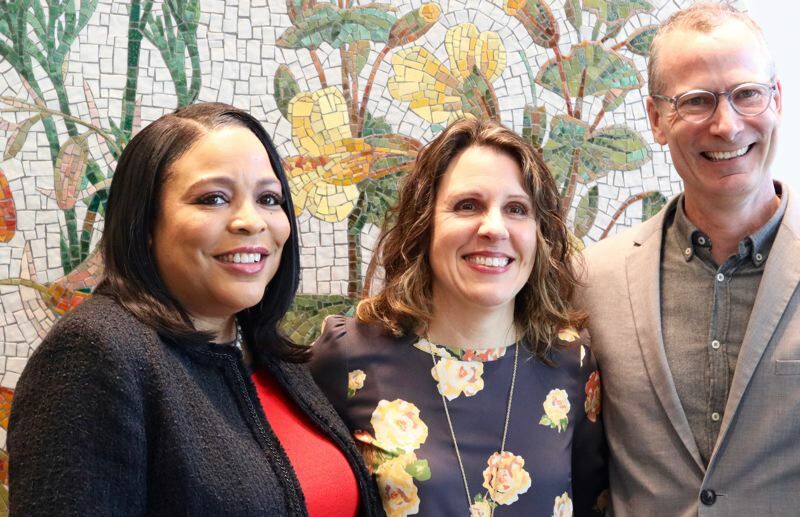 Five hundred employees will call the building home next month, including pharmacists, specialists at three medical clinics and reams of administrative workers who maintain the county's network of 20 health sites dedicated to serving the needy. The new building has keycard-controlled doors everywhere, gender-neutral bathrooms and a rooftop terrace offering views of Union Station, the Big Pink skyscraper and what the city's development commission has dubbed the Broadway Corridor. The building is designed for an 80-year life span, and contains a first-floor emergency command center. The illustrated glass tiles depicting wildflowers and a waterfall on the walls of the atrium were created by artist Francesco Simeti. Prosper Portland, which chipped in $36 million for the health building, thinks this stretch will be home to 1,000 quality jobs and 3,000 new housing units, many reserved for low-income residents, when works wraps on their adjacently owned site, the Post Office blocks. 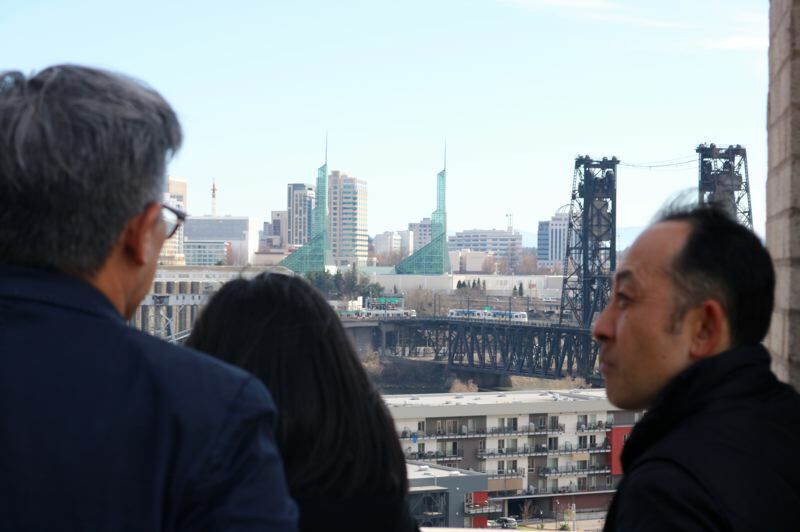 "It's a once-in-a-lifetime opportunity to bring the Pearl District and Old Town/Chinatown together," noted Prosper Portland director Kimberly Branam. Patricia Charles-Heathers is clocking in for her third day on the job as the county's new health department director. After leading El Dorado County's Health & Human Services agency close to Sacramento, California, she's already noticing a commitment here to "workforce equity." Her goal as director is to improve the integrategation of care and the synergy of health services. "Not only does it help from a financial perspective, but it prevents silos," she explained, saying that patients need streamlined access. "There should be one door." 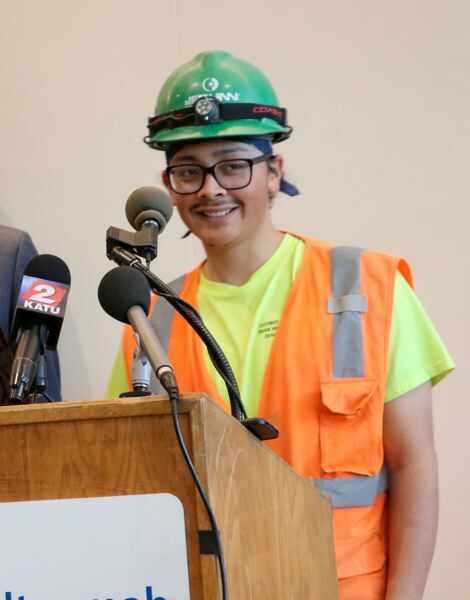 Wearing a hardhat and orange safety vest, apprentice laborer Alex Acevedo stands out when he takes to the podium. His seven months onsite are living proof that 31 percent of the 900-plus construction workers involved were trainee craftworkers, higher than the 20 percent required. About one-third of the building's contractors are certified as women- and minority-owned businesses. Acevedo says his favorite part of the work was seeing "all the different trades come together, the pre-casts and all the details." "We had to watch out for the homeless, watch out for the needles, all that stuff, but it's cool," he said. Outside, on the street, Landford has no idea the cameras are rolling for a Wednesday, March 20 press conference. At times, she has received services from the Bud Clark Commons and Transition Projects building occupying the other half of the block. Her view is that even an investment built to assist society's most vulnerable could end up triggering the opposite. "It's capitalism," she said. "It's the rich and the poor, and nothing in between."